While purists on both sides of the theatrical/pop music divide may complain about rock's invasion of Broadway, there's no denying the success of shows that transpose popular music onto theater stages. The Who's Tommy, Jersey Boys, Billy Joel's Movin' Out and Beautiful: The Carole King Musical all have proven the viability—not to mention the incredible commercial potential—that results when music makes the crossover from the top of the charts to the front of the stage. Mamma Mia! is an ideal example of this trend, given the fact that its songs—originally penned and performed by ABBA—had already proven their worth when it came to garnering the gold. 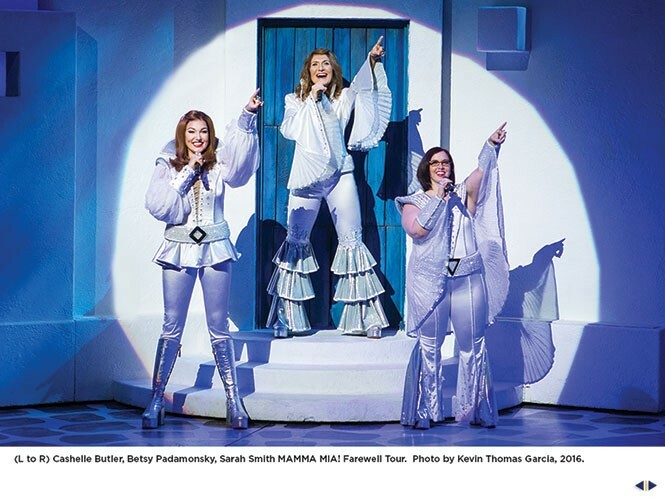 So when British playwright Catherine Johnson proposed making a musical with the group's chief songwriters, Benny Andersson and Bjorn Ulvaeus, they nodded approvingly, repurposed the material and sanctioned the staging and the accompanying theatrical trappings. Mining mega hits like "Dancing Queen," "Knowing Me, Knowing You," "Fernando," "Take a Chance on Me" and the title track, the basis of a successful musical was already assured. 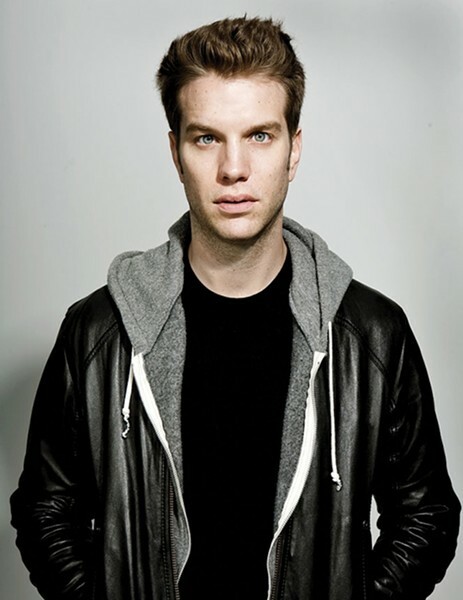 If Jeff Ross is the Roastmaster General, then Anthony Jeselnik is the guy who will eventually overthrow him and claim his empire. A recent Comedy Central staple, Jeselnik managed to offend everyone in his path by taking a "who cares about you" approach to his comedy. The Pittsburgh native got his start in 2003 performing around the country, then in 2009 he managed to score two major breaks: signing on as a writer for Late Night with Jimmy Fallon, and being featured in his own Comedy Central Presents special. From there, he became a Comedy Central roast regular. Top moments include bits mocking Charlie Sheen and Donald Trump, and then his own show called The Jeselnik Offensive in 2013. Over the past couple years, he's put together some outstanding albums and specials, including Shakespeare (2010) and Caligula (2013). Last year, he released one of his best performances to date, Thoughts and Prayers, an hour-long special now available on Netflix. Ririe Woodbury's Winter Season rounds up an eclectic bunch of performances from choreographers of different modern dance eras and world stages, with the potential for an unforgettable show from beginning to end. Looking to "investigate humanity's fascination with the physical world," Winter Season takes a local perspective with the world premiere Snowmelt by Ririe-Woodbury artistic director Daniel Charon, then looks afar with Super WE (2013) a duet co-created by Bulgarian-born choreographer Tzveta Kassabova and the young, up-and-coming American choreographer Raja Feather Kelly. Physalia, however, takes us to the sea. This piece has been in the RWDC repertoire since it was originally choreographed in 1977 for the company by Alison Chase and Moses Pendelton, founders of the world-famous, gravity-defying dance company Pilobolus. The title is Latin nomenclature for the deadly but beautiful Atlantic Portuguese man o' war, a reference to the dance's unusual movement style which juxtaposes watery grace with the absurd movements that might come from a sea creature moving on dry land. It can be easy to feel fatigue at the very mention of superheroes, when every week seems to bring another gritty, dark movie costumed character. 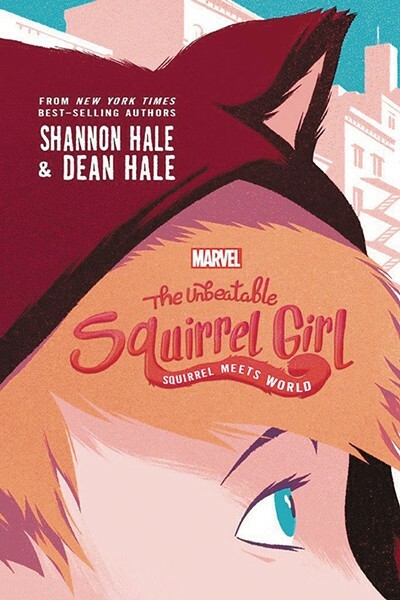 But The Unbeatable Squirrel Girl: Squirrel Meets World—the Marvel novel by local authors Shannon and Dean Hale—bucks this trend. The King's English is celebrating the launch of the first novel about Squirrel Girl, in which readers can expect a fun respite from the grimness of cinematic superheroes. Shannon Hale says she hopes the novel brings silliness and fun to teenagers' reading, and that its heroine can be a role model for kids, regardless of gender. "Books are really a place where girls are given a chance to shine. I hope this is a book that boys are allowed to read, too," she says. "Sometimes parents shame boys away from reading books about girls. I think that's a real disservice to boys." Created in 1991 as a lighthearted superhero story, Squirrel Girl has all the powers her name implies. She can speak to the squirrels and has their proportional strength, speed and agility. While she's typically depicted as a college student, this novel takes readers to her teen years. "I think it can be a hard age to live, and books mean so much to kids that age. I know for me they did," Hale says.